Before you read the rest of this review I have a confession to make; I love S.T.A.L.K.E.R. 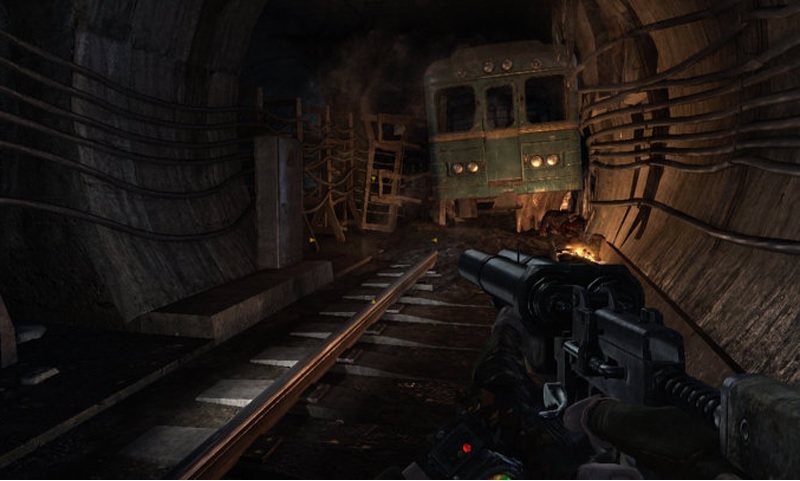 Indeed, the first person shooter (FPS) games are my favorites to play and S.T.A.L.K.E.R. manages to scratch my every itch. I admit that S.T.A.L.K.E.R. does have its share of problems that normally I would not tolerate in any game, but there’s something about this game that makes me forget about the bad things. Luckily I don’t ever recall saying that my reviews are fair or open-minded, and if I did ever say that let me apologize now for that horrible lie. I mentioned this game has some problems so we’ll touch on those first. To even play this game you’ll need a fairly serious computer and even then it’s a little dicey. Frame-rates slow, the game crashes and sometimes it seems like nothing about the game actually works at all. You may find yourself replaying hours worth of the game if your save (as mine did) gets corrupted. There are updates for the game but if you install after you’ve already begun the game them you have to start all over. If you manage to get to the end of the game chances are you’ll end up at one of the 6 ‘bad’ endings where you just die anyways and have to start the game over, or at least go back to a previous save point and try again for that one single correct ending. So what about STALKER makes it worth putting up with all of the above glaring problems? How about a huge, completely detailed and explore-able environment beautifully rendered with some of the nicest graphics to date? How about enemies who are smart, varied and plentiful? How about hours of missions, dozens of weapons, legions of wildlife and some completely amazing adventures? STALKER delivers big time in each of these departments and has managed to take the fps out of the linear storyline and deliver a vast, open-ended marvel that I can only hope will pave the way for others of its kind. The only thing that could make this game better would be a less buggy console version so more people could give this game a try. 4.5 out of 5 Invisible Bloodsuckers.